The first thing to think about before you start this exciting and sometimes daunting task of collecting wine is to know that most wine is meant to be consumed within five years, rather than aged and cellared. That being said, starting out building a small wine collection and building your own wine cellar can be the best way to learn about wine and your favorite styles in addition to observing how it changes over time. Whether your collection remains small as time goes by or if it grows into a monster collection, always remember that wine is meant to be fun and not to be taken so seriously. Although this article is intended to help you with some thoughts on collecting wine, it would be remiss not to mention proper storage principles before your collection is amassed. 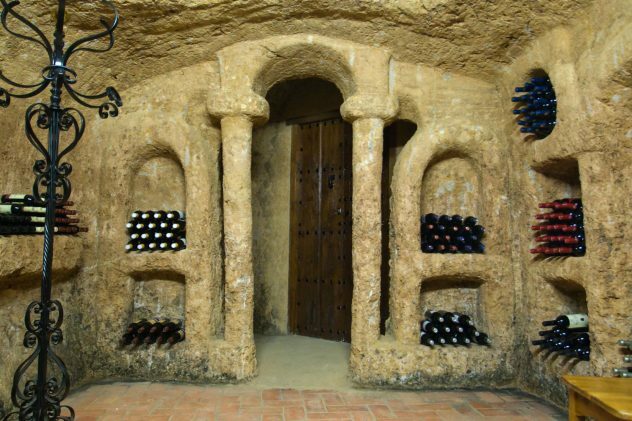 Let’s talk about what you need to build your own wine cellar. Heat is the number one enemy of wine because it can “cook” the wine. The ideal temperature range to store wine is between 45 to 65 degrees with 55 degrees being the most ideal. Dry conditions are not ideal. But unless you live in the desert, you should be fine. A 70 percent humidity is recommended. Light also affects wine. So, dark conditions are very good. Further, wine collectors should store wine sideways to keep the corks from drying out, and thus leaking. How do you get these near perfect conditions? If your house has a not-too-damp basement it can double as a wine cellar/storage. Places not to look to store your wines include the laundry area and the kitchen where temperatures can rise particularly in warmer months. If you don’t have the ideal basement, standalone wine coolers or wine refrigerators can work just fine. Most of these units will keep temperatures in the range needed for storage with more expensive units also controlling the humidity as well. Not that we have talked a little bit about storage, let’s get back to the collecting! Your approach to collecting wine should be basically the same as tasting wine which is keep it simple. Start your collection with wines that you like; both everyday and maybe special occasion wines, which may be cellared. Cellaring and aging wine can change the taste and texture of wine; some say for the better and some say for the worse. Only you can determine if you enjoy aged wines over newer wines. A good way to learn this about yourself is by letting some age-worthy and more expensive wines spend some time in your cellar. There is no reason to diversify your collection with wines that do not please your palette but at some point you might be opening wines for others. If you know what they tend to drink, this gives you and them the security of feeling good about what you will be pouring for them in addition to pouring some of your favorites. Building a collection gives you a chance to maybe try some wines from some regions you may not yet have experienced but have always wanted to. Keep in mind that there is no reason to break the bank either because there are always affordable wines from any given region. Another thing to keep in mind is that you do not have to fill up your collection all at once. We live in an “I-want-it-now” society, but half the fun of wine is discovering and collecting wine in various settings with many coming as a complete surprise. Some of your bottles might be purchased when wine was the last thing on your mind as you come across a previously unknown wine shop when you were out running errands. Other wines might be discovered on vacation, when out to dinner or maybe even traveling through wine country. The beauty of collecting anything including wine is uncovering something special when you least expect it. Although your personal tastes might gravitate towards particular wines and/or regions, you might want to think about diversifying your collection for yourself and others. As mentioned above, sharing wine is a huge part of why you would want to start a collection, so keeping a well diversified collection is a must. In addition, wine drinker’s tastes can change over time and a wine that was not a contender before might turn into a collector’s favorite. A good mix of red and white including some sparklers for different tastes and food parings is ideal. Also consider sourcing your collection from several regions which can add great diversity to the collection. If you are cooking Italian, put some Italian wines in your cellar that can pair better with the cuisine. Start out with moderately priced wines from regions you are not familiar with and add more expensive offerings if warranted. You may not plan on having a big collection but it is possible that your collection can grow to a size that was not previously foreseen. Whether this happens or not, it is a great idea to keep an inventory of your collection. There are various software applications for wine cellars out there including ones that are free like cellartracker.com. Not only does this allow you to keep track of what you have or what you have consumed already, it allows the collector to post notes on the cost of the wine, the region, how it was acquired and tasting notes if the bottle was consumed. Then you will have an idea if that style of wine is right for you and if you would acquire it again based on your taste and price range for example. You would be surprised how much one can forget about a wine, especially if it had been cellared for quite some time. If you live alone this might not be as much as a concern as a wine collection that has more than one person that has access to it. Separate your collection for people that might not know what certain wines represent, the price range or the ageability of the bottle. Consider two halves of the cellar in which one half is daily or dinner drinkers and the other half is “library” wines that are meant to be aged, generally more expensive or special occasion drinkers. I remember reading an article about where a husband separated his wine collection into three areas for his less wine-knowledgeable wife. He labeled the red area as the never touch area, the yellow area as the please ask before you take area and the green area as help yourself. The bottom line is whatever works and makes sense to you is the perfect way to segregate or not segregate your collection. Starting and developing a wine collection can be fun. As you begin your hopefully long collecting journey, always remember that it is more fun to drink and share with others than for the bottles to collect dust in a cellar.